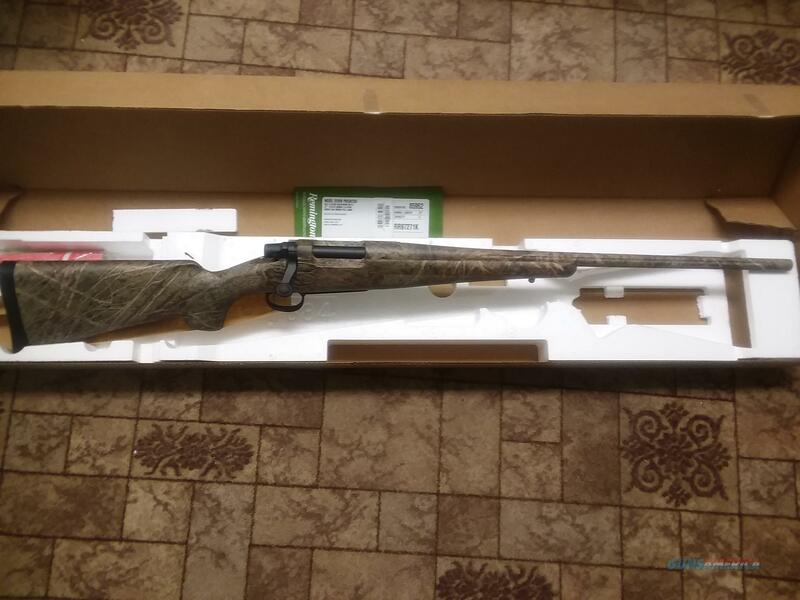 Description: This full camo bolt action .223 is a varmint caller's dream! It features: Full coverage Mossy Oak Brush camo, 22 in. fluted barrel, hinged floorplate magazine, X-Mark Pro adjustable trigger, recoil pad, box and papers. This is top of line rifle--not a bargain basement special. Its List Price is $895! No sales to California. Kansas residents must pay sales tax.